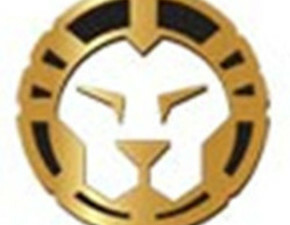 What does this lapel pin look like at first glance ? Yes, it looks like ice cream that we often eat. 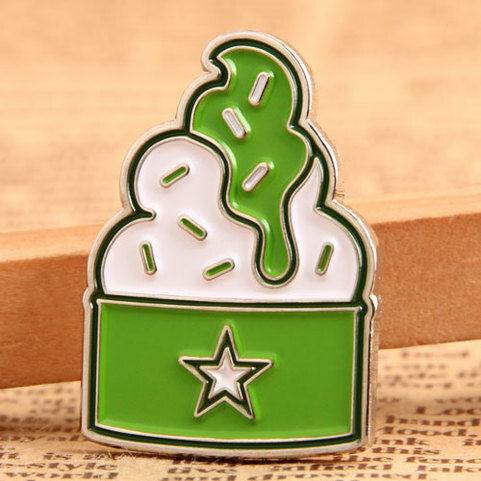 As shown, the ice cream is put into a green box decorated with white five-pointed star. 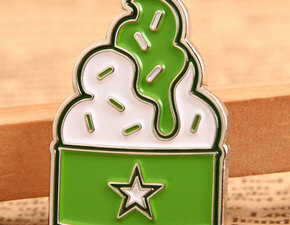 The lapel pins is made of soft enamel in green and white colors, with the outer frame silver plated. Lapel Pins No Minimum will be the best choice if you ‘d like to decorate your coat or dress. 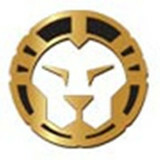 Of course, we also provide other kinds of custom lapel pins no minimum order like sandblast pins or hard enamel pins.